When you think of BuzzFeed, a few things probably come to mind. Cats. Memes. Quizzes that'll tell you which celebrity you're most like. Videos that make you tear up awkwardly at work. Basically, you picture any and all viral content. You probably don't think of wildly successful email newsletters. Well, prepare to have your preconceived notions thrown out of the window: BuzzFeed has email newsletters -- and they're more successful now than ever. If you're like me, wondering how one of the most innovative media and tech companies in the country is successful implementing email newsletters, keep reading. 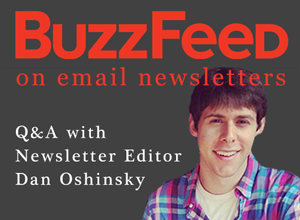 I sat down with BuzzFeed's Newsletter Editor, Dan Oshinsky, to get to the bottom of this. Oshinsky began his journey as the one-man email newsletter team at BuzzFeed at the end of 2012, creating and sending its one-and-only daily email. Since then, the team's grown to a four-person machine that curates, designs, and tests some 30-odd emails a week. Here's an inside look into BuzzFeed's email strategy and explosive growth on what some people consider a "dead" channel. 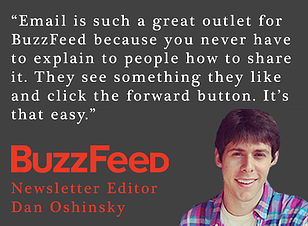 Q: Why does BuzzFeed do email newsletters? Oshinsky: Before I came to BuzzFeed to run their email newsletters, I ran a small email newsletter for long-form content. I was shocked how well it would perform. People would share it. They'd respond directly to us and tell us how much they liked our stories. Everyone said email was dying ... but we had this newsletter that did really well. When I started at BuzzFeed in 2012, BuzzFeed had a couple small automated newsletters driven by our algorithm. We thought a newsletter curated by humans could be a powerful way for us to grow. It'd be something really fun for our readers and users to get great stuff every single day that would feel BuzzFeedy. Back when I started working on the internet in the 90s and got my first AOL CD in the mail, email was the first place I went to send interesting articles and ideas to friends and families. BuzzFeed makes content that people love to share, so it absolutely makes sense for us be on email to help people find great stuff to share right from their inbox. Email is such a natural fit for BuzzFeed because you never have to explain to people how to share it. People see it and go, "Oh, my buddy or my mom or my coworker would really love this." They click the forward button and just send it along. It's that easy. Because BuzzFeed is built entirely around what people what to share, email has been great for us. Q: Tell us more about BuzzFeed's newsletter strategy. Since taking on the platform in 2012, how has your strategy evolved? Oshinsky: The BuzzFeed audience has gotten so wide that there are people who love cats, memes, and goofy things, but there are also people who view us as a place to read really interesting things on the web. There are people who only come to BuzzFeed for our tech, or politics, or international coverage. These are really diverse audiences. It's becoming trickier and trickier for us to decide what is the "BuzzFeed audience" and what we want to promote to them. We have this big daily list that is more around what's buzzing and being shared on our site right now. 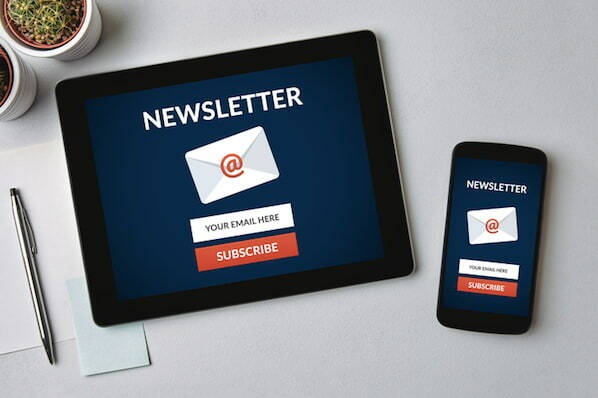 Instead of trying to segment down on that list into different types of audiences, we've created a bunch of different types of newsletters people can opt in to. If you go to our email newsletter subscription page, we're up to 14 different email newsletters right now (and expect to grow more over the next year). These very specific email newsletters let people say, "I love the cats, but what I really want to find out about is about your book coverage. Send me those links only." As we've launched these niche newsletters, their growth has been really strong. The open and click rates are outstanding because it's for audiences that really specifically care about that vertical. Our real goal is to dig down into these specific audiences -- the people who just want content about animals or long-form reads in their inbox on Sundays -- and get those specific audiences really great content. 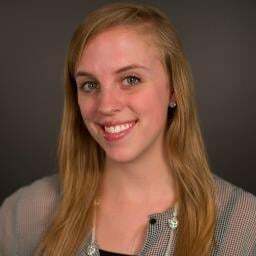 Q: Do your email newsletters have a big impact for BuzzFeed? Oshinsky: We started basically from nothing almost a year ago. We're happy with the growth, traffic to the site, open and click rates. The absolute tiniest percentage of people subscribe to our newsletter, but you have to keep in mind that last month, we had 130 million unique visitors to the website. So if we had an email newsletter that was even a fraction of a percent of that size, it would be a huge email list. Our email newsletter audience is special, though. For example, the people who subscribe to our daily list are avid BuzzFeed readers who want it to pop up in their inbox first thing in the morning when they go to the work. When we feature stories in that newsletter, our subscribers will send a good chunk of traffic to those stories. It's an opportunity to feature stories that just aren't getting the attention. Q: How does mobile play into your email newsletter strategy? 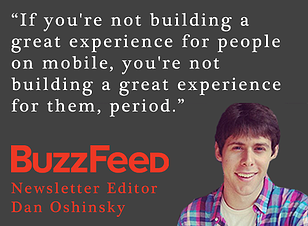 Oshinsky: Whenever we're building a new email or testing off an old one, we're always thinking of that mobile audience. For us, half of our audience is coming from mobile, and it's growing. On email, we're seeing the exact same trend. More than half on some of our lists are coming from mobile or reading the email on mobile devices. If you're not building a great experience for people on mobile, you're not building a great experience for them -- period. When I first started here, we hadn't put a lot of thought into the design of that automated newsletter. It was impossible to read on your phone. It was almost impossible to click on the links. It didn't have responsive design. We tore down that design and started from scratch with a couple prototypes. One of them is what you see as the daily newsletter now with this big feature story, sometimes a GIF, and those little reaction buttons. The great thing about creating emails on mobile that we discovered is that people still love to scroll. The habit of scrolling is actually native to checking emails on your phone. So even when people read our emails on mobile, we can still make emails a certain length and not lose people. And people will still scroll through and look for things they really want. It's not just a matter of "you have to hit them at the top and be really, really brief." We can give people a lot of content, and as long as it looks good on their phone, they're willing to take the time to scroll through and read it. Q: What's the process of putting together a newsletter like? How do you choose what content goes into the newsletter? Oshinsky: After working on the newsletter for over a year, we kind of have a formula for what content performs well. We know what type of content people love to share, what type of content people love to see in their inboxes. People love sharing content on email that makes them seem smart or helps inform their friends or colleagues or causes them to react. When content makes them angry or happy or sad, they tend to share it. So when I'm picking content for the daily newsletter, I tend to choose that type of content, a mix of stuff that's gonna make you smile and make you curious. My favorite stories to share in the newsletter are these Pinterest fail stories. People love seeing stories about someone who tried to make something they saw on Pinterest, and it just didn't work out. People love clicking through. There's a certain harmless fun in it -- like you tried to do this nail art, and it just didn't work out. People love sharing that for some reason -- it's goofy and it's silly. I also keep two people in mind when I write these emails. One is a friend of mine here in New York who works in finance. She checks her email every day and is looking for what things have been happening on the internet that she needs to know about. The other is my mother. She has a pretty good sense of humor, but if she sees something strange on BuzzFeed that she didn't want to see, I'll get a phone call from her. There's certainly a young audience that's checking Facebook and Twitter, and there's also an audience that email is the preferred social channel by which they communicate with us. Not everyone wants to fan us on Facebook, but this'll show up in your inbox on your phone, you can check it at work or on the train in the morning. This is how they stay in touch with us at BuzzFeed. Q: Compared to other social channels, is there a certain type of content that performs best on email? 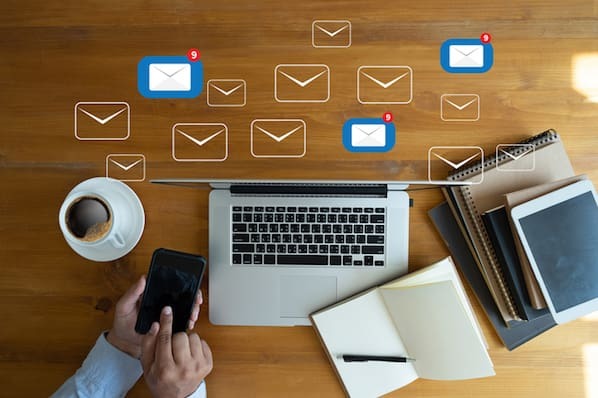 What types of content tank on email? Oshinsky: There's a different type of content that goes viral on each network. Facebook, for instance, is really specific identity-based. I can write a post about my alma mater, the University of Missouri, saying it's the greatest university in the world. I put it on Facebook and it'll go crazy because there's an audience -- fellow Mizzou grads -- who will say, "Yeah, my alma mater is the best!" And even though there are people out there who aren't Mizzou grads who aren't sharing this post, it can still go really big on Facebook. On the other hand, Twitter is kinda the front page of news and what's happening. Pinterest is much more inspirational. Email can involve a lot of these things. When we share content with our daily list, we aim for really broad identities. For example, the other day, we shared one that did really well: "17 Things That'll Ruin a Woman's Day." Broad identity content plays out really well. Also, things that are nationality-specific, like "Signs You're Really Canadian," that kind of thing. We don't share a lot of really, really specific-identity content on email. When you really dig down into things like "I'm a Fan of Game of Thrones," it's not going to perform well on email. While there's a huge community online that loves and shares that content, we try to keep in mind that the total audience is only a couple million people. We found when we share that type of content in our emails, that stuff doesn't always work that well. We try to make it as broad and entertaining as possible. Basically, I try to take note of the stuff that's really getting big, getting some viral traffic. I try to pick the stuff that people are already sharing. If people are already sharing it a lot, it's a good indication that we should be sharing it with our email audience too. 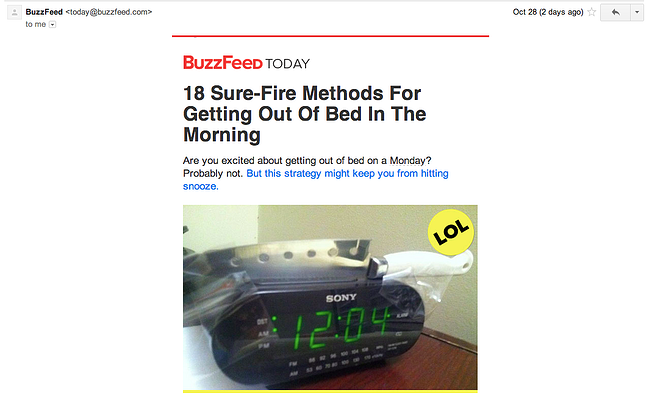 There you have it folks: a behind-the-scenes look at BuzzFeed's email newsletters. What do you think of BuzzFeed's strategy? Are you a subscriber? Share your thoughts with us in the comments.